Perhaps technology is the driving force that does not allow us to slow down, as though taking time to sit in a classroom or to travel to a conference somehow takes away something rather than adds to the educational experience.Interestingly, while we were in Boston for our Harvard Macy course, learning and reflecting about many powerful ways to harness and cultivate the use of technology in education, we happened to meet Jamie Susskind, the author of Future Politics: Living Together in a World Transformed by Tech at a bookstore. Susskind’s research highlights how technology can change the way we interact, think, and even alter our perceptions and behaviors. As educators, we are charged with being thoughtful about how we use technology to enrich and enhance health professions education. We must be especially careful of the ways that increasing technology use can influence behaviors and attitudes about learning, relationships and human connection, and impact the cognitive load. One of the most surprising take-aways from the Harvard Macy 2.0 course was the value of the human connection, and how essential this is to the successful incorporation of any technology or innovation. Similar to Stikeleather’s article in Harvard Business Review, we were reminded both overtly and subtly not to get so excited about the technology lest we forget the core principles of education or the human component. To reinforce this, every session began with the art of story-telling and personal reflection and meditation by course director Roy Phitayakorn. The emphasis on the human connection was strengthened with a warm and robust online social media community, which was reassuring for any educator or clinician concerned about the use of technology in medical education feeling impersonal or detached. Course director Neil Mehta also modeled how we can encourage the use of technology in the classroom. Sitting in a lecture while simultaneously participating in an online community with the same students allowed for real-time resources and articles to be posted and referenced. Deep learning and relationships were happening for all scholars. A scholar who does not share in class had an opportunity to share in the classroom community through shared technology or social media across the classroom. This interaction and diversification of teaching modalities ensured all participants were engaged. Additionally, these interactions spurred conversations or collaborations in a way that would not have been possible before. Although the online component of any educational experience does a good job of being inclusive and meeting our busy needs, networking and making in-person connections facilitates personal rejuvenation and creativity that can sometimes only occur in moments when we are allowed to slow down, during an impromptu conversation at the coffee station, or in the hallway, at dinners with new friends, or when we come together with those who share a similar passion. Understanding and effectively using technology is important for improving efficiency and productivity in our days and our students’ learning, but also for harnessing the energy that comes from our social and personal connections, building a community that continues to encourage and inspire, even long after we have left one another’s physical presence. The Harvard Macy Institute community continues to send sparks of encouragement through social media posts and fond memories of the person behind the smiling social media image. To answer the question at the beginning, can professional development and education about technology be solely online? Probably, but, attending a conference about technology isn’t just about knowledge attainment. Instead, it is about how deeply important it is to use technology to further the human connection and the relationships we develop in education. What we didn’t expect to learn was how important community and technology is to us as educators, and what a powerful tool this community would be for our own personal learning and rejuvenation. And that maybe, just maybe, for a moment, it is OK to not be running through our lives at 2x speed. Brooke Hooper, MD, FACP (2.0, ’18) is a Medical Educator and Primary Care Internist. Brooke currently holds a position as Assistant Professor of Internal Medicine and Associate Dean for Clinical Education at Eastern Virginia Medical School. Brooke’s areas of professional interest include [Medical Education, Career Development, and Health Systems Science]. Brooke can be followed on Twitter or LinkedIn. Bobbie Ann Adair White, EdD, MA (2.0, ’18) is a Medical Educator and Consultant. BA currently serves as a faculty member in the Department of Humanities in Medicine at Texas A&M University College of Medicine, and serves as a Term Lecturer for MGH Institute of Health Professions. BA’s areas of professional interest include medical education leadership and career development. BA can be followed on Twitter or LinkedIn. 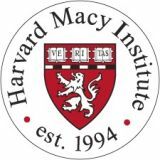 Did you know that the Harvard Macy Institute Community Blog has had more than 145 posts? Previous blog posts have explored topics including well-being in healthcare, medical school in three years, and how Apple defined the smartphone - and why healthcare innovators should care. As a Health Care Educator, are you looking for ways to transform your current teaching methods for the digital age? Learn the tools that can help you accomplish this goal. Create innovative learning environments and materials to help manage the information explosion. 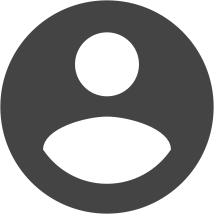 Learn to curate, evaluate and create online content for your students. Leverage Web 2.0 and social media tools to create professional learning networks consistent with social learning theories. Learn more by visiting our course page: Health Care Education 2.0, transforming your teaching for the digital age; which will be held: October 20 - 25, 2019.